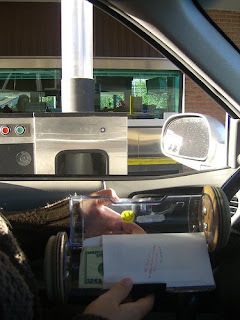 I went to deposit some checks at the bank (which is always nice:) and I realized I'm still fascinated by the tube system in the drive-thru. I remember when I was little, I loved going to the bank. I was amazed by the machine that just gave you money after you punch a couple of bottoms and how that tube thing zipped from being outside to inside. 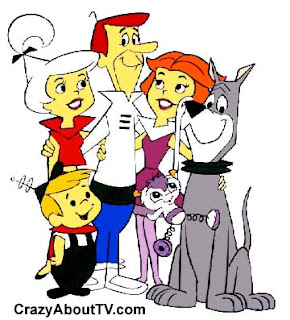 I totally thought that it was something straight from The Jetson's. I used to work at a bank, and I loved when I was working the drive-thru lanes. It was so much fun! Sometimes people drove off with the tube, though—that was high drama. Are you guys moving to Mpls? Am I remembering correctly? Yes you remembered correctly! We are moving to Minneapolis, hopefully the first of August. My husband, Jonathan, got accepted to TBI for the fall semester. We have yet to find an apartment though.